In the eighth episode of After Two Beers, John Holl sits down with Brandon Jones of Yazoo Brewing Co. 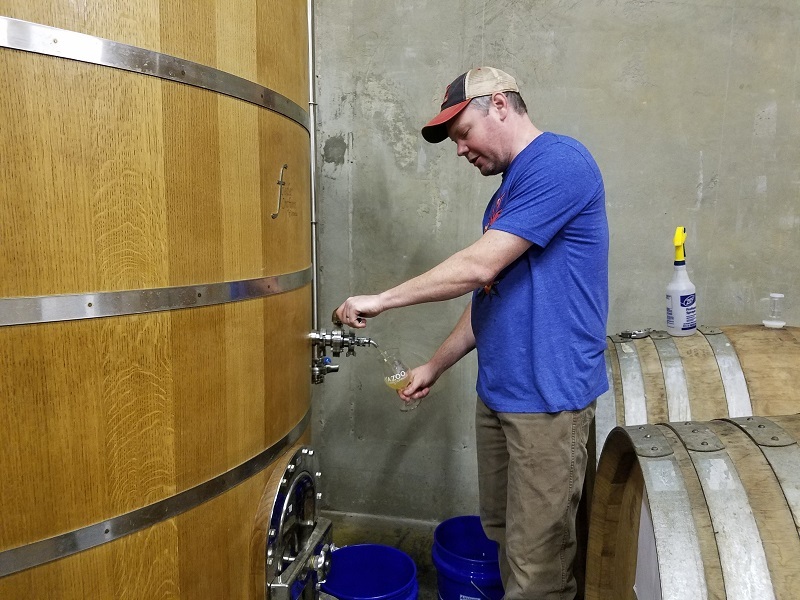 In the brewery’s barrel room in Nashville, Tennessee, the two discuss Jones’ foray into homebrewing sour beers (and how he scored a barrel that held the first batch of Russian River Consecration), how he started the popular website Embrace the Funk, and how he came to oversee Yazoo Brewing’s growing sour and barrel-aging program. Jones also shares his thoughts on kettle sours and so-called wild beers. Oh, and did we mention he’s won an Emmy? I am a big fan of the podcast! However, I have noticed the audio of the past several podcasts being a little funky. I get my podcasts through iTunes. I’m not sure if the problem is an iTunes problem or something else. But the volume of the actual interview is very quiet and often difficult to hear, and the voiceover part is much louder (probably a normal volume, but I have to turn my volume way up to hear the interview). Unsure if you guys were aware of the problem. I’m a big fan and want to keep listening!